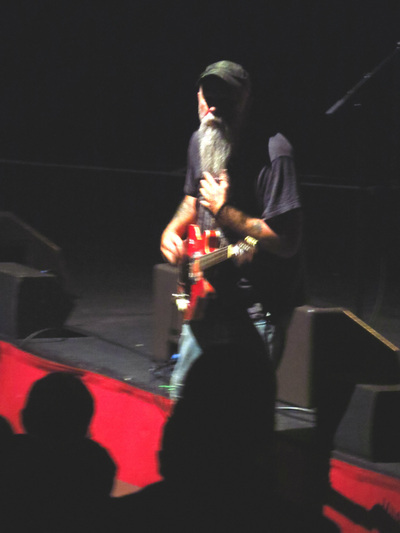 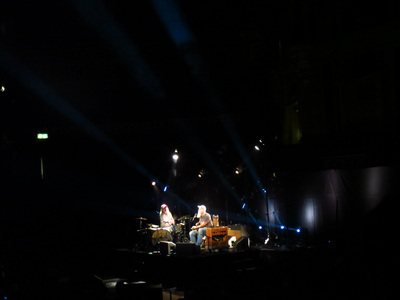 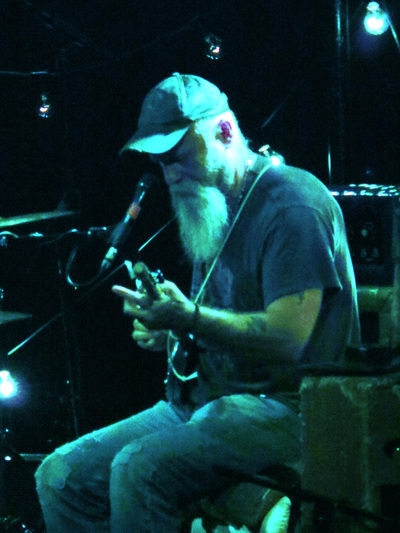 Seasick Steve at the Royal Albert Hall. 23 May 2014. 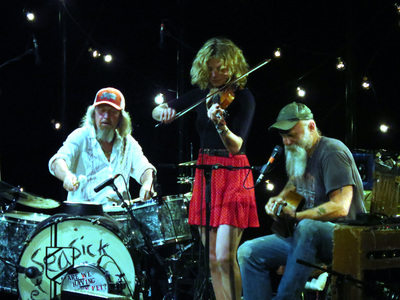 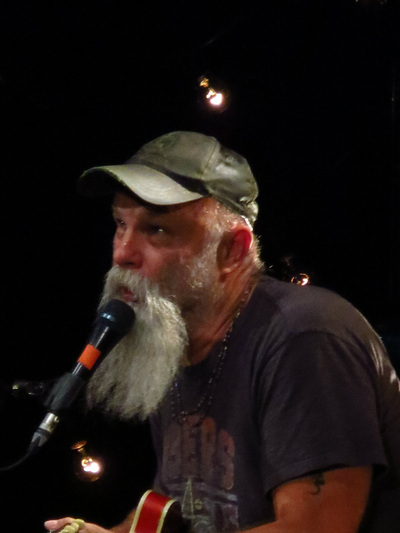 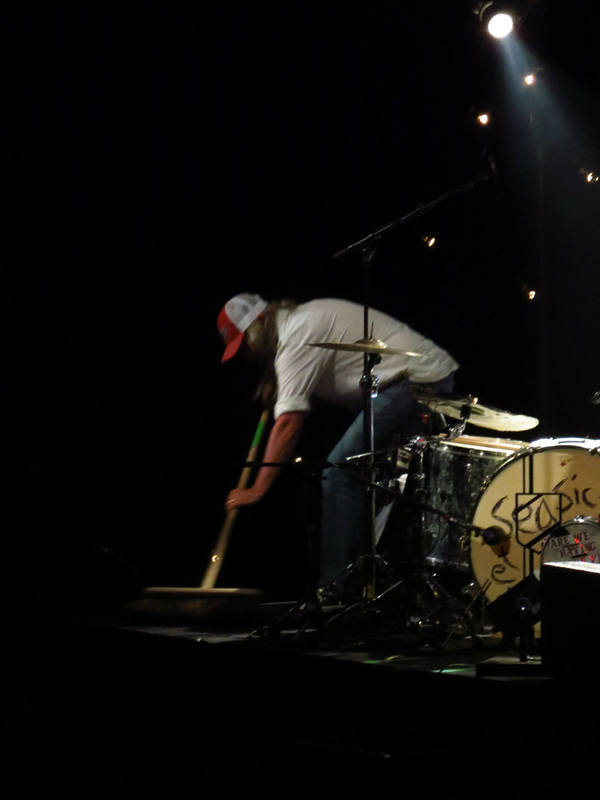 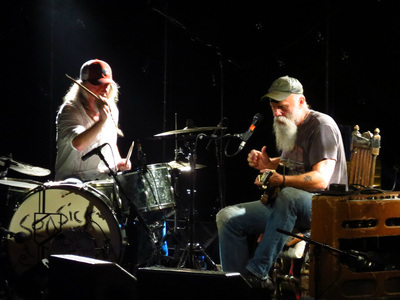 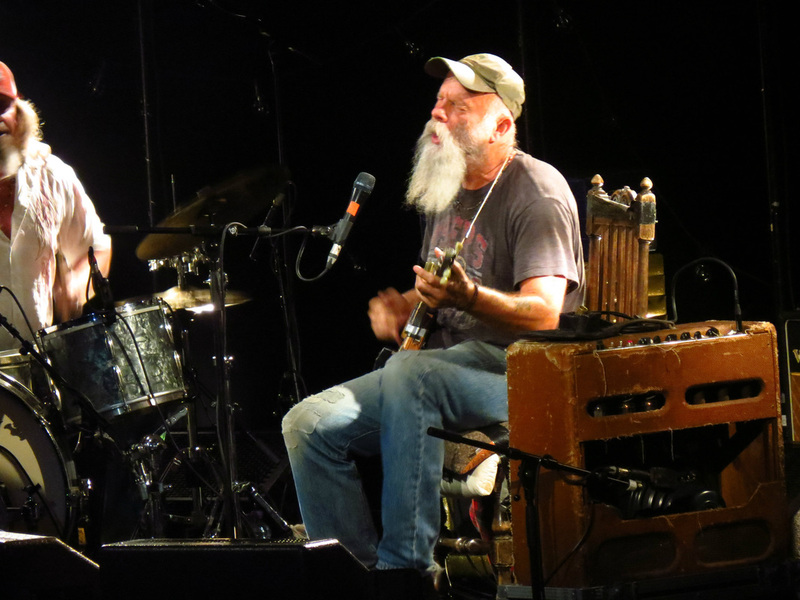 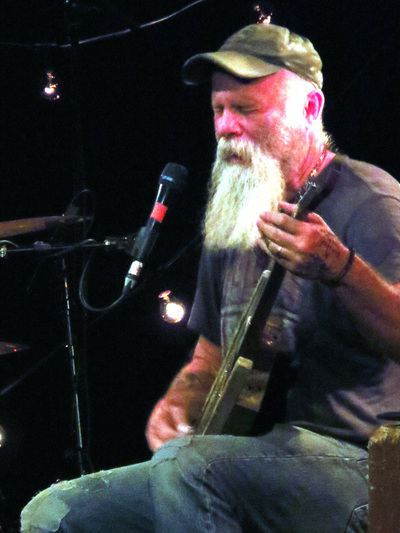 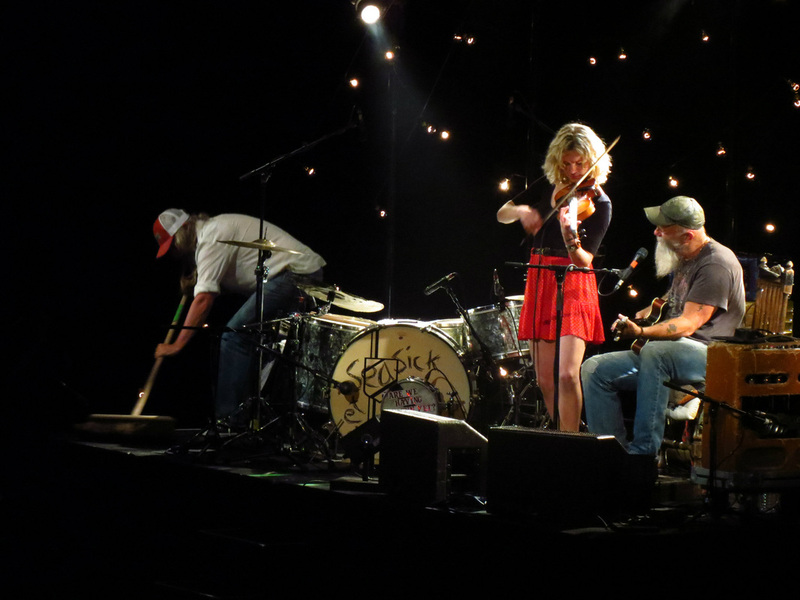 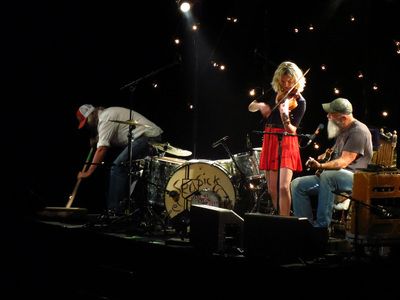 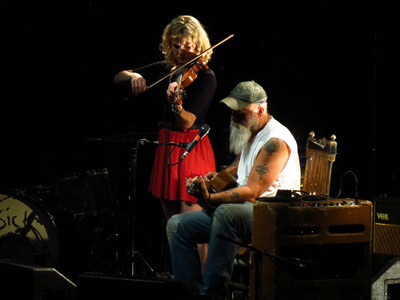 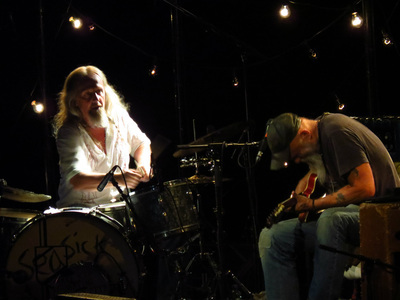 What to say about Seasick Steve ? 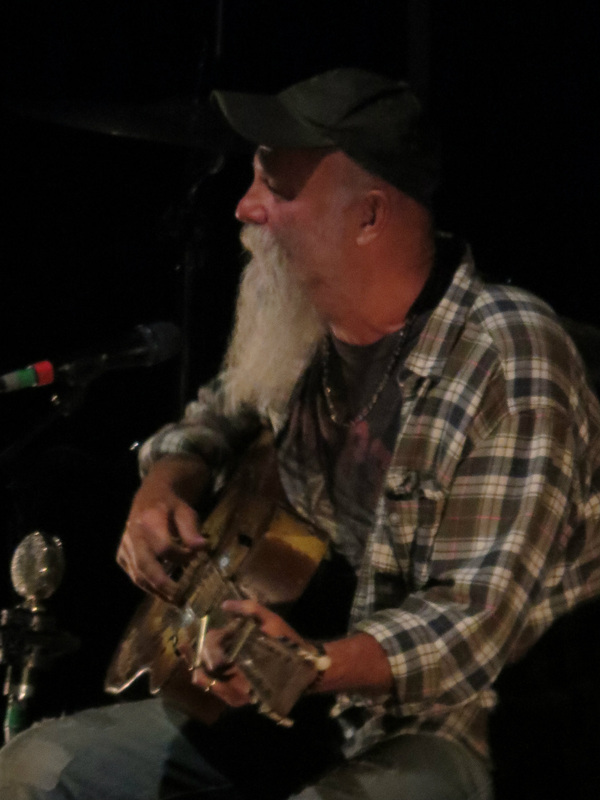 I knew (and still know) little about him. A late starter in the music business and one of those arists who, whenever I have seen him on TV (a festival and Jools Holland regular), brings a smile to my face. 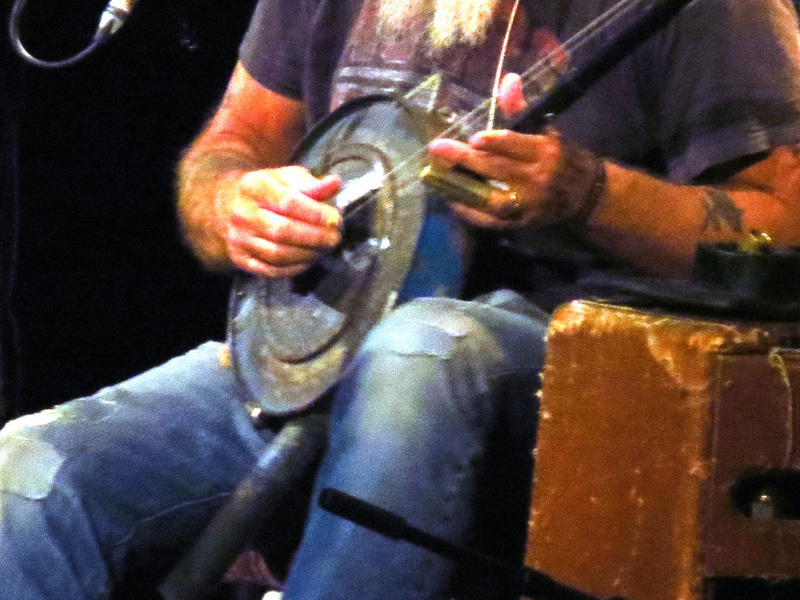 The rapport he has with the audience, together with his ability to construct a guitar from car parts or washboard and play it irrespective of how many strings are left tells me that he is a remarkable talent. 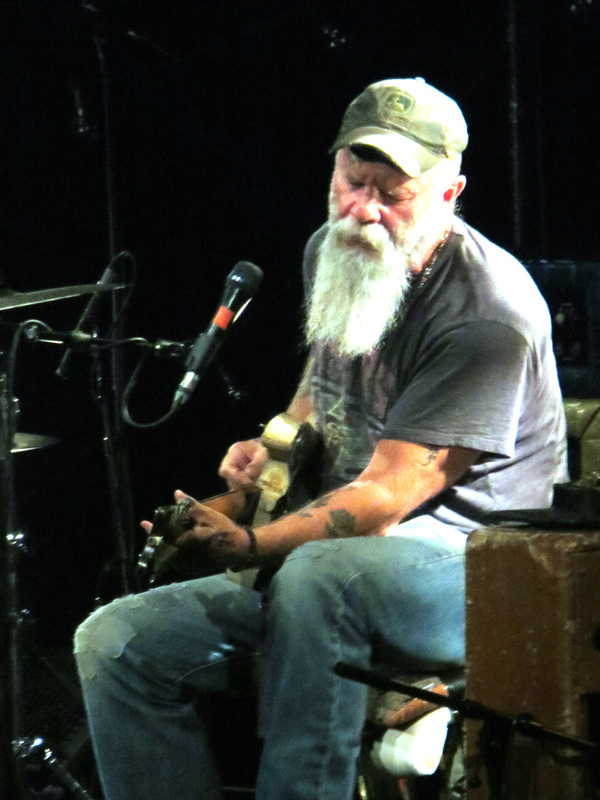 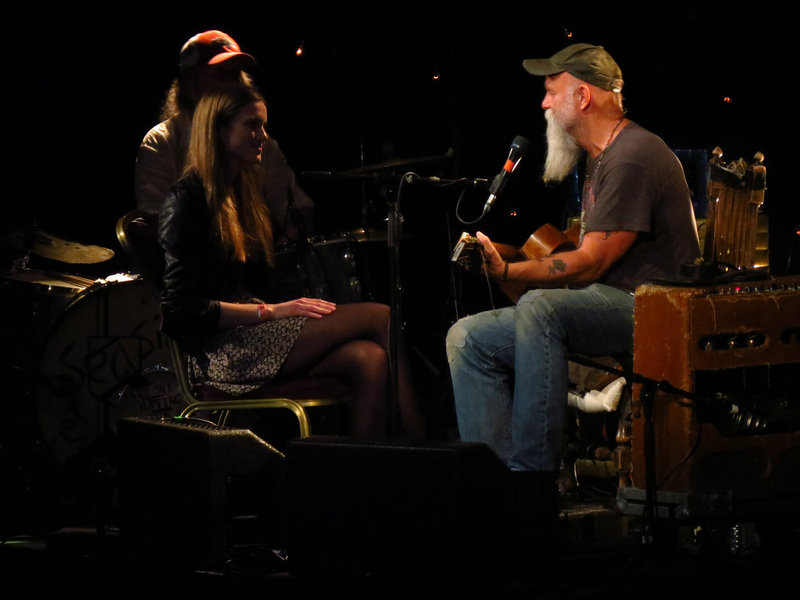 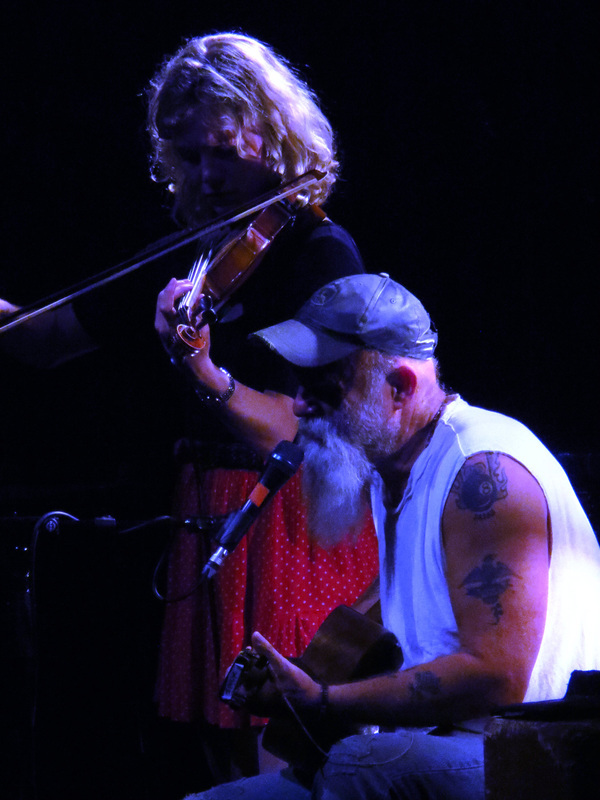 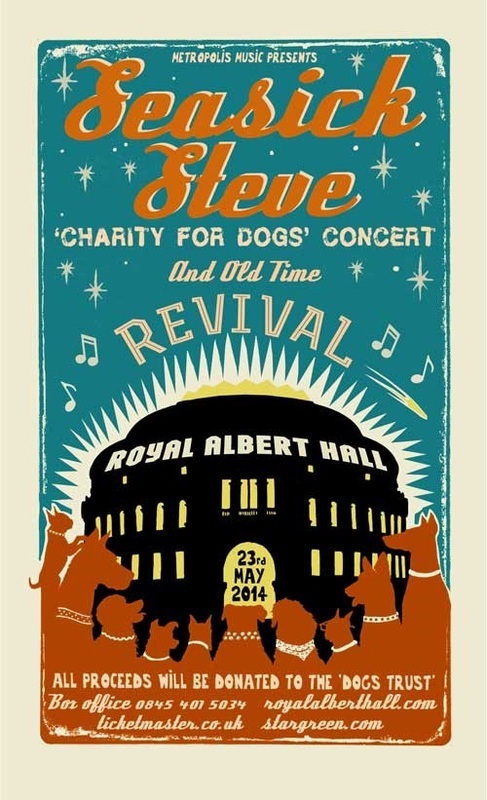 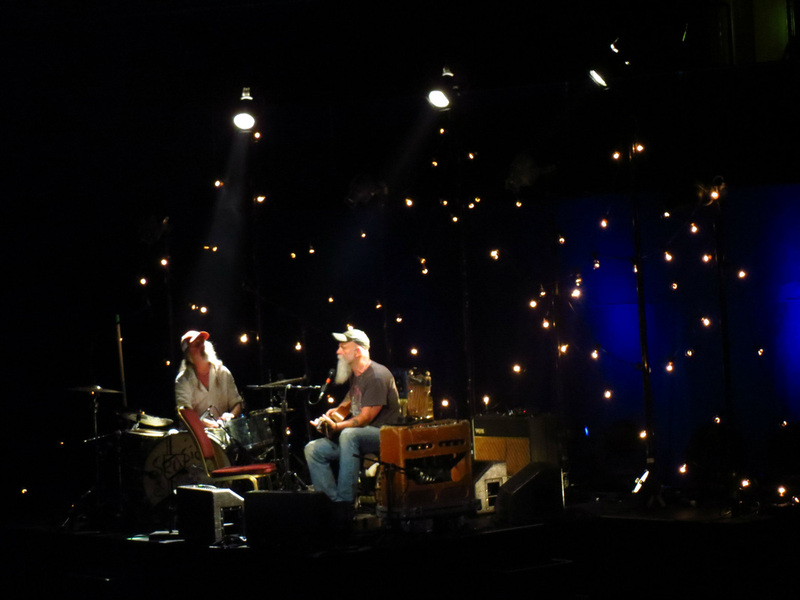 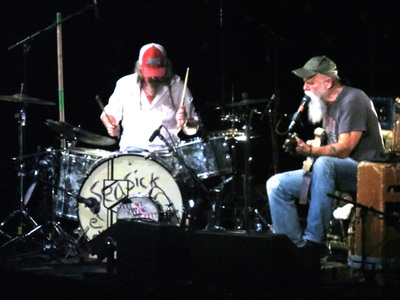 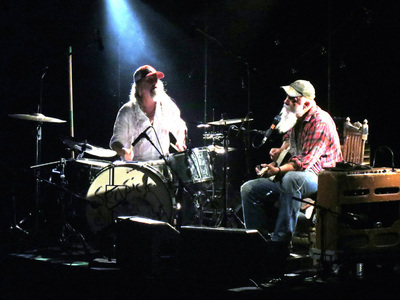 Seasick Steve does not seem to play many theatre gigs, so a benefit concert for a Dog Trust charity at the Royal Albert Hall seemed too good an opportunity to miss. I didn't, (going with son James and his girlfriend Tara), and it was a brilliant night. As he declared with a grin on his face at the start of the show - "there will be costume changes (taking off his shirt), a light show (light string switched on), a guy will come onto the stage to give me a guitar occasionally and we will play some music as well".